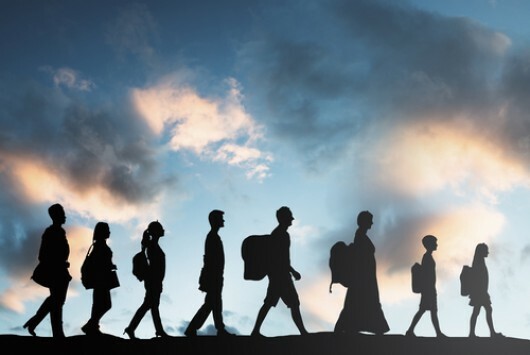 #eaPolitics Twitter chat: The EU and migration - A crisis of leadership? Join EURACTIV and moderator Benjamin Fox for a Twitter Chat on EU migration policy and its role in the upcoming European elections. We will share the following questions on Twitter and invite you to share responses using #eaPolitics. Q1. Last month the EU's Home Affairs commissioner said that the migration 'crisis' was over in Europe. Do citizens believe that? Q2. What do your constituents/voters want from EU immigration and asylum policy? Q3. The EU institutions have spent several years trying and failing to re-write the EU's immigration and asylum laws. How does that filter back to voters? Q4. How have EU citizen attitudes to refugees and migration changed, if at all? Are parties that talk toughest on migration control being rewarded? Q5. What do you expect will happen under the next Commission? Will reform of the Dublin process be abandoned? How will this be affected by the composition of the next EP? A Twitter Chat is a discussion between Twitter users that get online at a pre-arranged date and time to discuss a specific topic that uses a designated #hashtag (for this chat it’s #eaPolitics). Twitter Chats usually last about an hour. The hashtag links the questions and answers in a virtual conversation. The best way to see the entire conversation is to search for the hashtag #eaPolitics on twitter and switch to the "latest tweets" tab.